Showing 46 articles from December 9, 2015. LOUISBURG -- Two of the county's oldest volunteer rescue squads will shut their doors on Dec. 31, signaling the end of an era in Louisburg and Franklinton. The Louisburg and Franklinton rescue squads notified Emergency Services staff that the county did not need to recertify their franchise agreements. 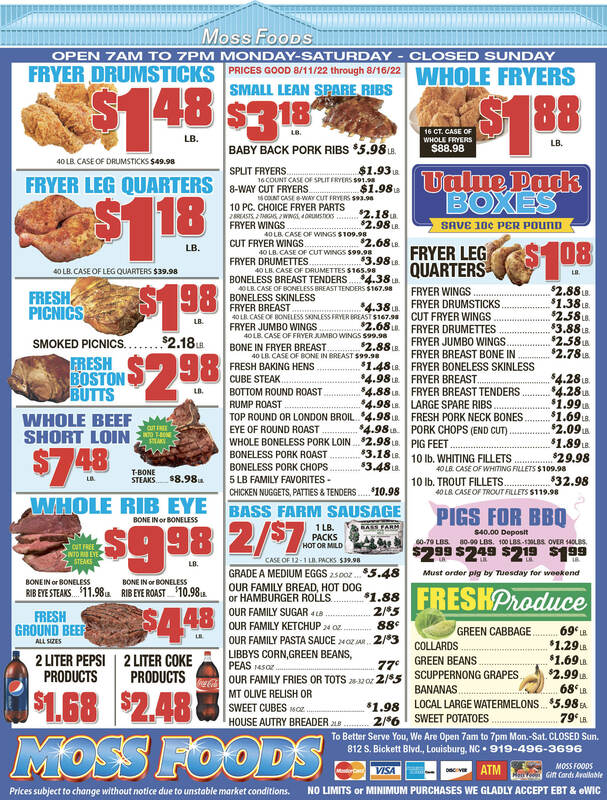 Both operations will cease on Dec. 31. Louisburg was the county's oldest squad, beginning rescue runs in 1948. LOUISBURG -- When Novant Health pulled the plug on its Louisburg medical center in October, the Franklin County Board of Commissioners chose County Manager Angela Harris to be its spokesperson on hospital matters -- providing one voice for the community to adhere. That didn't stop all the jibber jabber, though, whether through social media or on the street corner. Toward the end of Monday night's meeting, Commission Chair Sidney Dunston said it's time to set the record straight about what county leaders are doing to fill the health care void created by Novant's departure. 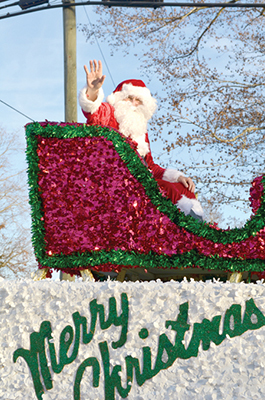 It's official, the Christmas season is upon us, especially since Jolly Old Santa Claus has made his appearance in area parades, including the Chamber of Commerce's parade in Louisburg last Sunday as is evident in the photo (left). FRANKLINTON -- Police arrested a Franklinton man involved in a shooting that erupted over a social media dispute. According to a report by Chief John Green Jr., officers responded to a call of a fight in progress involving gunplay in the 400 block of Green Street the afternoon of Dec. 6. When Green arrived, according to the report, he did not find anyone at the location, but located someone on a backstreet who said they heard yelling, gunshots and saw someone running toward Chavis Street and stashing a possible weapon. LOUISBURG -- A few more people have announced their intent to seek public office, including two Republicans that guarantee a primary race for a county commissioner seat. Incumbent District 5 Commissioner Don Lancaster announced he will not seek re-election and Republicans Michael Schriver and Patrick Hart have filed for the seat. 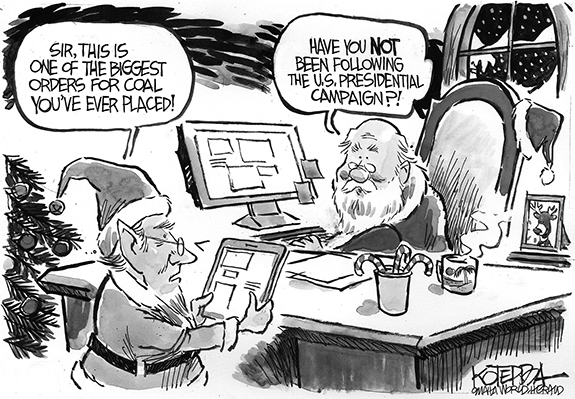 A Democrat has not filed for that party's nomination in the spring primary. Sometimes it's right there under your nose and you don't notice until someone points it out. In all my years of crawling under, around and through old houses -- and old furniture -- I never thought about it as a tactile experience that links to another time. That is until listening to Ramona Bartos, deputy state historic preservation officer, during the Person Place's annual meeting last week. She recalled how young children reacted when she took them to visit an early 18th century (Circa 1730) Lutheran church in Georgia. An opportunity missed -- and some have been placing the blame for that omission in the wrong place. When Kent Winstead was running for sheriff more than a year ago, he pledged to operate more transparently and to begin his term with a professional audit to determine exactly where that department stood financially. That audit has never happened. Officials are hand in hand: It's a Festivus Miracle! 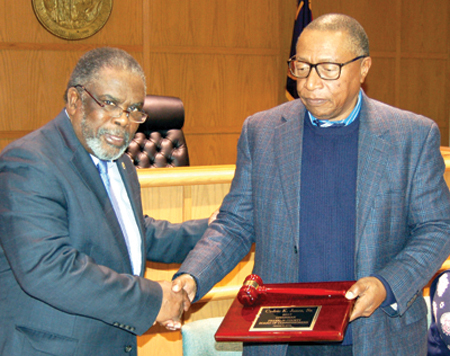 A few weeks ago, I wrote a column describing a palpable tension at a county commissioner's meeting when Louisburg Town Councilman Boyd Sturges walked into the meeting and took a seat as the county's legal counsel -- assuming the role for his absent law partner, Pete Tomlinson. There was notable chatter inside the county commissioner's meeting space, Sturges walked in, and just like in those old Western's when the villain walks in, the sound stopped and you could hear a pin drop. While not a complete lie, Pat McCrory began his Dec. 1 re-election announcement video with the following words which are worthy of comparison to a stretch from Hall of Fame first baseman Willie McCovey's career: "Long before I was elected governor, one of the hardest things I ever had to do in my life was to come home after my job was eliminated and tell Ann I didn't have a job anymore." McCrory attempts to play the "I'm one of you card," which so many politicians play when asking for votes. 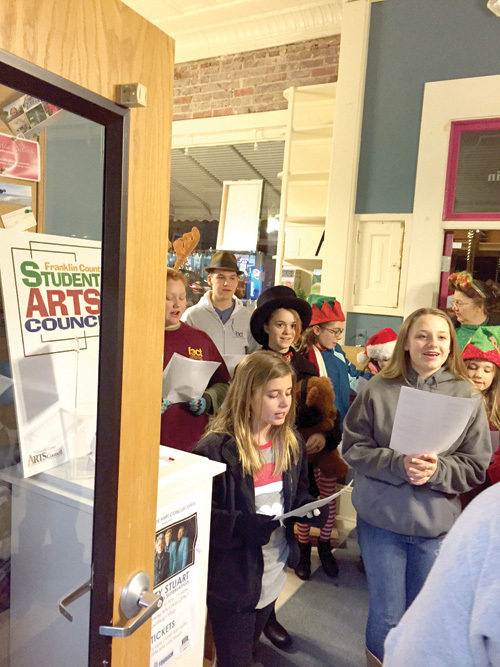 Dear editor: On Saturday night, my wife and I attended a performance of "The Christmas Bus," produced and directed by Wally Hurst, and staged at the Norris Theater on the Louisburg College campus. Dear editor: We would like to commend and thank Tommy Wester for erecting that beautiful holiday flag at his business site on Bickett Boulevard. 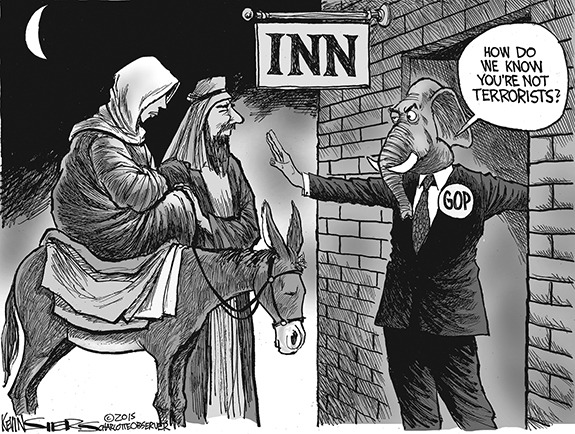 It's a welcome site which is seen from afar! FARMINGTON HILLS, Mich. - Funeral services for Vickie Elaine Yarborough Artis, 53, of Farmington Hills, Mich., formerly of Louisburg, who died Tuesday, Dec. 8, 2015, will be held at 11 a.m. Friday, Dec. 18, at Jones Chapel Baptist Church in Louisburg, with the Rev. Lenwood V. Long officiating. Burial will be in Pinelawn Memorial Park in Kinston. OXFORD - William Wallace Mullen, 92, of Oxford, NC, went to be with his Lord and Savior December 2, 2015. Born in Bunn, Franklin Co, NC, he was the son of Benjamin McClane Mullen and Pattie Christopher White Mullen of Bunn and later Youngsville, NC. UP AND OVER. 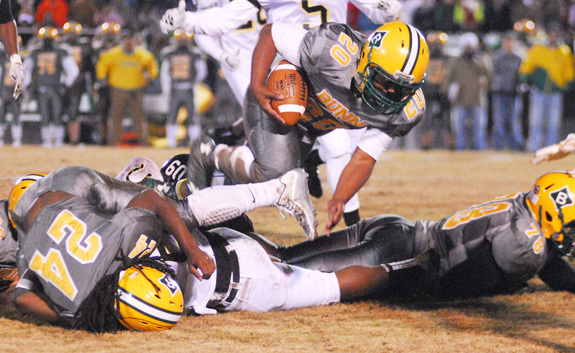 Bunn's Chris Bumpers (with ball) elevates for yardage during last Friday night's home victory over Clinton High School in the semifinals of the Class 2-AA State Football Playoffs. BUNN - Curious -- and wildly euphoric -- how the events of a split second can determine the path of a game, a career and nearly 30 years of dedication to a common cause. RIGHT DOWN THE MIDDLE. Placekicker Fabian Avila-Soria (right) was clutch down the stretch while helping the Bunn Wildcats advance to the Class 2-AA State Championship Football Game. BUNN -- A baseball fan growing up, Fabian Avila-Soria took an unlikely path toward providing one of the most immortal moments in the storied history of the Bunn High School football program. Avila-Soria, a senior placekicker, nailed the score-tying field goal at the horn to force overtime -- and then converted the eventual clinching PAT in the extra session to help Bunn defeat Clinton last Friday at home in the semifinals of the Class 2-AA State Playoffs. BIG GAME NEEDED. 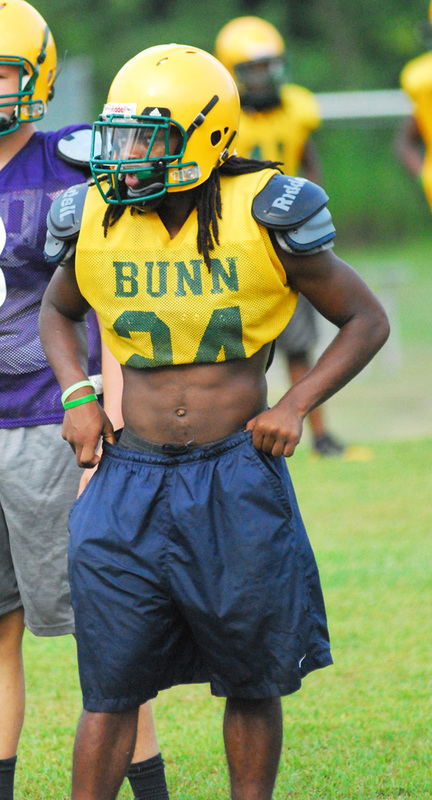 Tevin Perry could become Bunn\'s single-season rushing leader during Saturday\'s championship game against Monroe High School. BUNN -- Bunn's quest for its first-ever state football crown has one final road block -- and it's quite an imposing one. Undefeated Monroe, which swept through West Regional competition, will serve as Bunn's opponent during Saturday's Class 2-AA State Championship Game. Kickoff is scheduled for 8:05 p.m. at Carter-Finley Stadium in Raleigh. Tickets are available by presale at Bunn High School at a cost of $9 through Friday afternoon. LOOSE BALL. 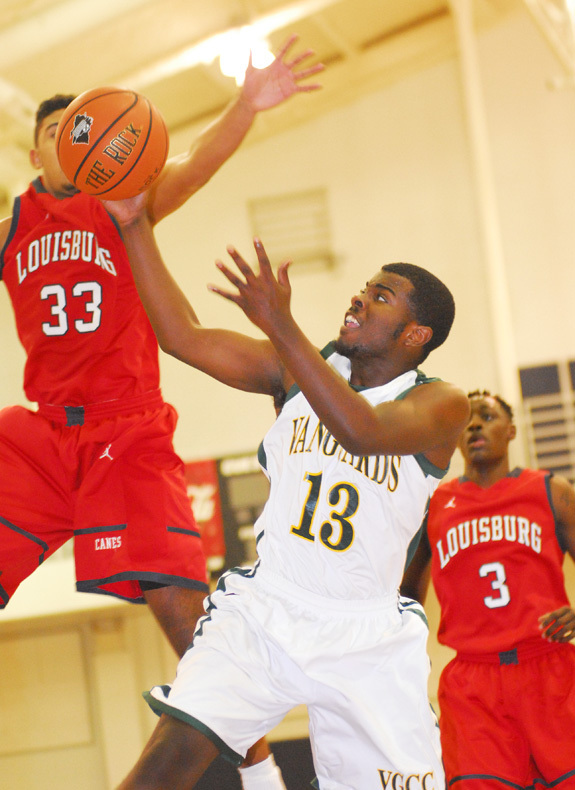 (L to R) Louisburg's Vinny Agee and Vance-Granville's Chris Pernell try to snare a rebound during last Wednesday night's college basketball matchup in Henderson. HENDERSON -- During warmups, Vance-Granville Community College men's basketball coach Mike Woody donned a pair of cloth reindeer antlers to commemorate the holiday season. But once the game started, Louisburg College skipper Neil Dixon would serve in the Christmas role of Ebenezer Scrooge as his Hurricanes spoiled the annual Vanguard Night at VGCC in Region X men's basketball action. SPIN MOVE. Bunn's Jaylin Brown tries to escape a hold as part of Tuesday's tri-match at Louisburg High School. LOUISBURG -- A pair of shorthanded squads didn't let that fact keep them from experiencing success during Tuesday night's wrestling tri-match at the Louisburg High School Gymnasium. 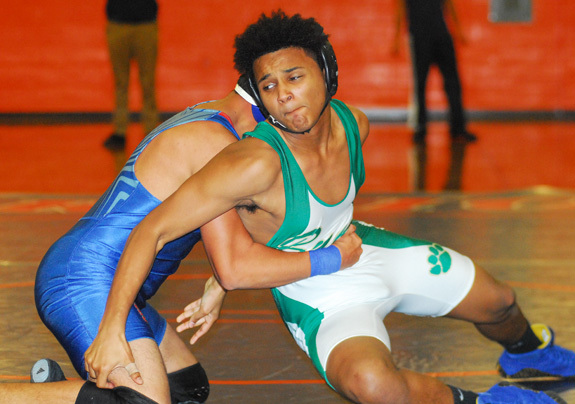 The homestanding Louisburg Warriors competed with just five performers but were still able to claim a victory in all but one of the combined matches the team wrestled against backyard rivals Northern Vance and Bunn in non-conference action. FRANKLIN COUNTY -- Pairings have been finalized for this weekend's 102nd Annual North Carolina High School Athletic Association State Football Championships. Games will be held at the University of North Carolina, Wake Forest University and North Carolina State University. 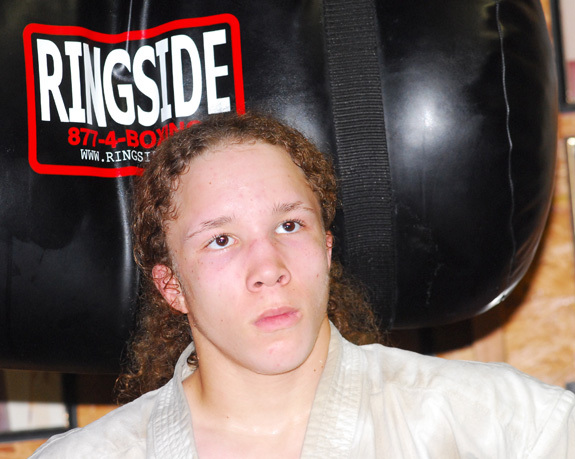 WARREN COUNTY -- Christian Buffaloe, 16, recently competed in the "2015 World Kyokushin Karate Teen Championships" in Tokyo, Japan. There were over 1,500 competitors from around the world fighting for the elite teen title in several categories. This prestigious event is held once every four years and is sponsored by the International Kyokushin Karate Organization in Tokyo. Christian Buffaloe was one of only two Americans in this elite championship with the majority of competitors coming from Japan and Russia. ZEBULON -- The Carolina Mudcats and Muddy the Mudcat are giving fans another great winter holiday gift option with the announcement of their Muddy Claus child and adult gift packages. Each Muddy Claus children's package includes a personal visit from Muddy the Mudcat, 10 box seat tickets, a Muddy's Buddies Kid's Club ID card, a Muddy's Buddies T-shirt, a Muddy doll, a Mudcats snow globe and more for just $50. HENDERSON -- The Kerr-Vance Academy varsity boys basketball team defeated Grace Christian of Sanford handily on Tuesday evening. However, the varsity girls lost after playing a very close game for three quarters. The Spartan boys turned a fairly close nine-point halftime lead into a 71-42 rout. Wil Short led the Spartans with 16, followed by Colby Wilkerson with 10 and newcomer Ronnie Brodie, II, who also scored 10. 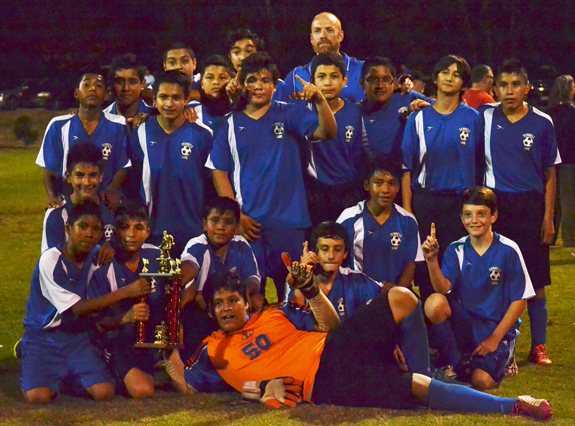 LOUISBURG -- Keith Lynch took a novel approach to building his lineup this fall for the Terrell Lane Middle School boys soccer squad. Lynch, the club's head coach, opted to put some of his most talented players on defense and in the midfield. Most of Lynch's foes in the Middle Athletic Conference took the reverse strategy, but Lynch's proved to be the most successful one as his Tornadoes won the MAC regular season and tournament championships. LOUISBURG -- Louisburg College's women's basketball team bounced back from its first loss of the campaign by delivering a home victory last Saturday against Region X opponent Lenoir Community College at Taylor Center on the LC campus. 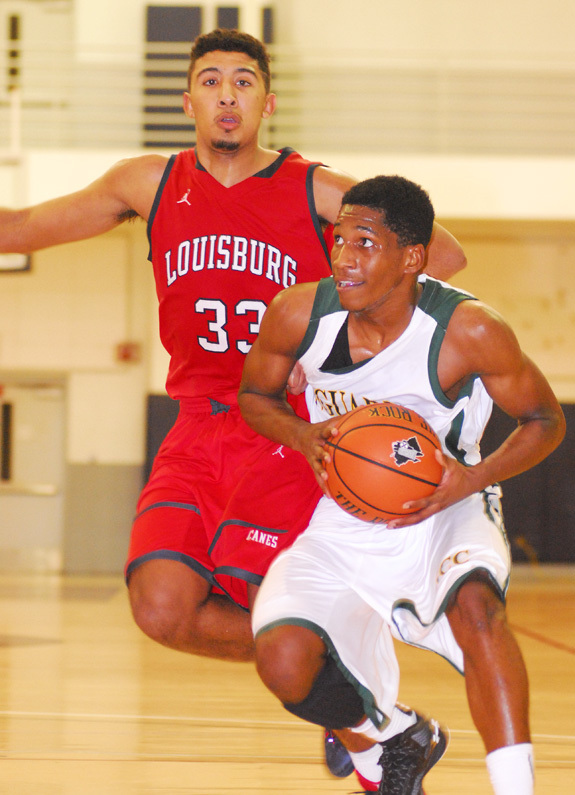 Louisburg, coached by Shay Hayes, rolled to a 70-40 conquest to improve to 10-1 on the campaign. The outcome of the game was never in doubt after LC sprinted to a 23-7 advantage after one period of action. GREAT SEASON. 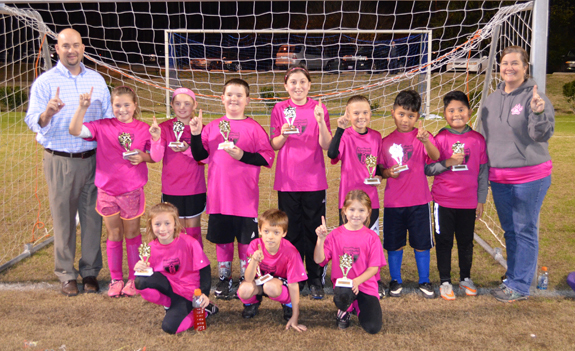 The Pink Panthers won the tournament and regular season championships in the Town of Louisburg Recreation Department's 7-9 Soccer League. Roster members for the squad were (top, l to r) Coach Kenny Abbott, Bailey Nelms, Caroline Holt, Ethan Abbott, Summer Tillitt, Will Champion, Jael Catalan, Eliu Catalan and Coach Kelly Nelms; (front, l to r) Natalie Edwards, Jayden Allen and Jenna House. The Pink Panthers went undefeated for the campaign. 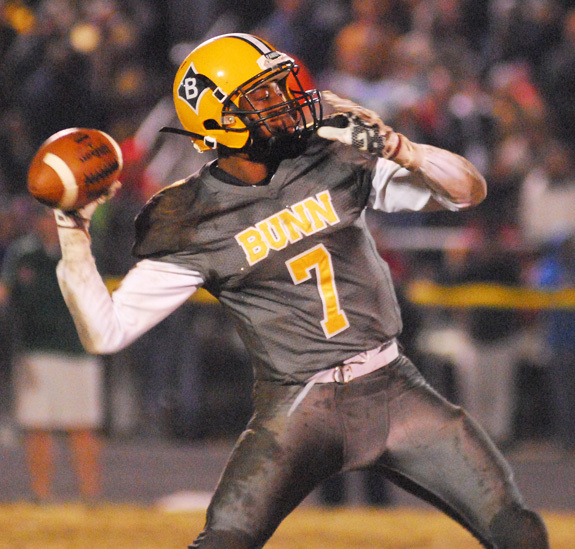 Bunn's Quenten Wright lifts a pass downfield during last Friday night's playoff matchup. 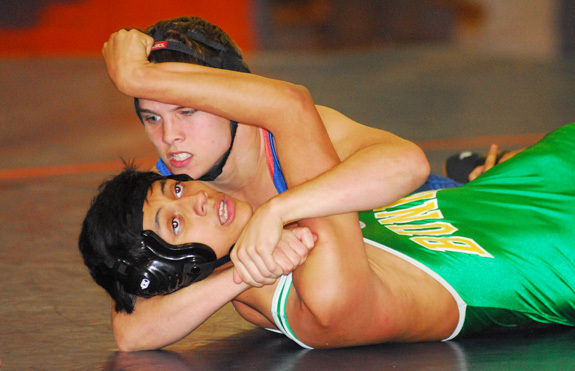 Louisburg's Brandon Rodriguez (top) records a pinfall during Tuesday's wrestling action. 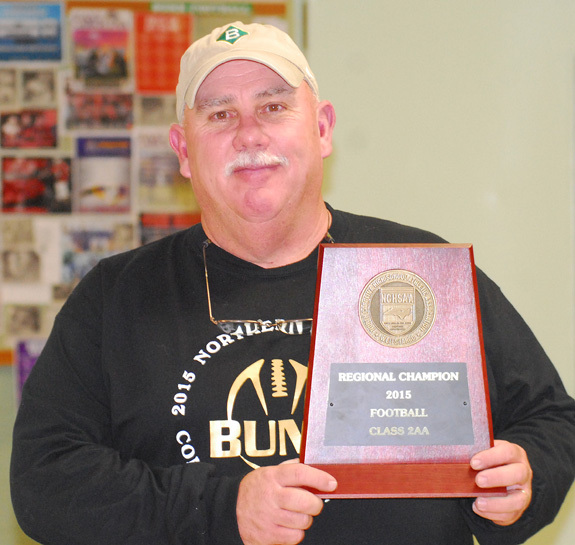 Bunn High School football coach David Howle proudly displays his team's Eastern Regional Championship Plaque after last Friday's overtime victory over Clinton. Vance-Granville's Alcyone Moore (with ball) drives while being defended by Louisburg's Vinny Agee during last Wednesday's men's basketball game at Aycock Gym in Henderson. 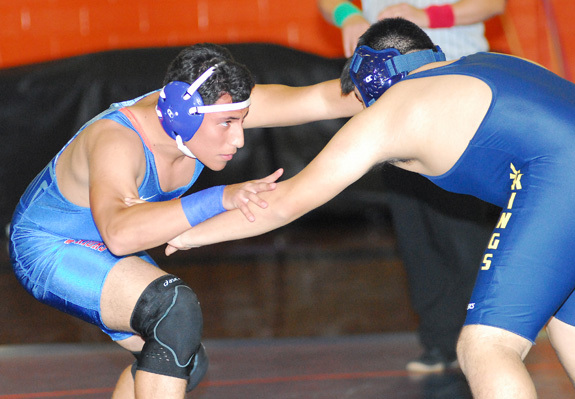 Louisburg's Dillan Medina (left) picked up a pair of victories during Tuesday's home tri-match wrestling event against Northern Vance and Bunn at the LHS Gymnasium. 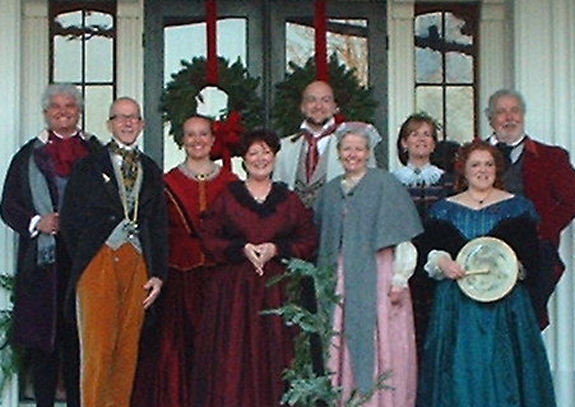 The Oakwood Waits, an a cappella group from Raleigh, will perform at Cherry Hill Plantation in Inez at 3 p.m. Dec. 20. It will feature the group, dressed in antebellum costume, for the eighth year. The performance of traditional carols and songs has been given from the Executive Mansion to the White House and has become a holiday tradition at the 1858 home of the Alston family. The board of directors of the Cherry Hill Foundation presents the singers as a Christmas gift to the community and invites everyone for an afternoon of entertainment and refreshments. For further information visit www.cherryhillconcerts.com. How many times do we say to ourselves, 'what can I do to make things better in our communities, among our families, within our churches, inside this world we live in, etc.' as we feel very helpless until we do something together and support each other. My point is there is nothing we can do alone, but a lot we can do together; and as a family of believers, all we have left are faith, prayer, and love, with love being the most important of all. Although the Christmas season of 1915 was typical in some respects, many citizens of Louisburg looked forward to a special Christmas celebration -- one made happier by the efforts of the town's Civic League. 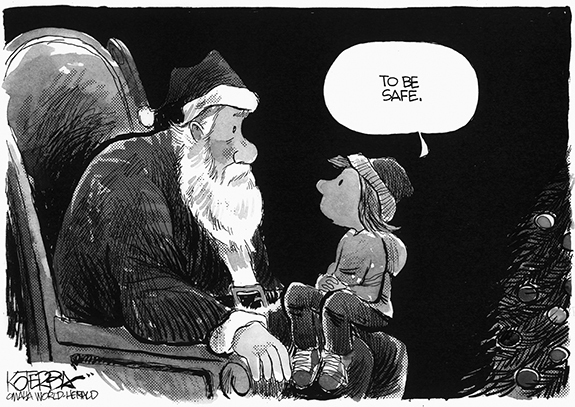 Ads that appeared in The Franklin Times in early December heralded the approaching holiday. Fred A. Riff, a jeweler and optometrist, invited shoppers to investigate his stock of jewelry, sterling silver, fine silver plate, and cut glass items. 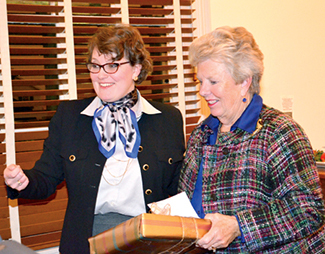 LOUISBURG -- "The place has power," Ramona M. Bartos, deputy North Carolina Historic Preservation officer, told her Person Place audience last Thursday night, emphasizing the word place. Bartos was the featured speaker at the annual banquet of the Person Place Preservation Society in Louisburg and focused on ways to reach out to young people to give them an appreciation of their heritage and their history. 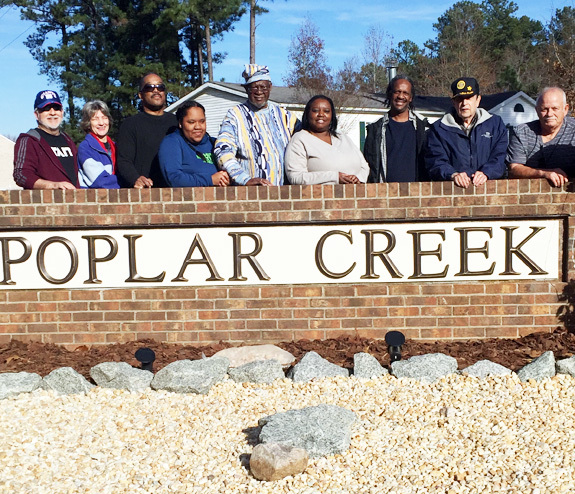 In late October, residents of Poplar Creek 2 in Franklinton came together to repair their entrance sign. Over the years, the sign had taken a beating, resulting in missing and broken letters, the realized. Gene Foster, David Castor and Bobby Hawkins formed a committee to restore the entrance sign. The neighbor support was overwhelming, and a local flower shop assisted with ideas and landscaping, they reported. 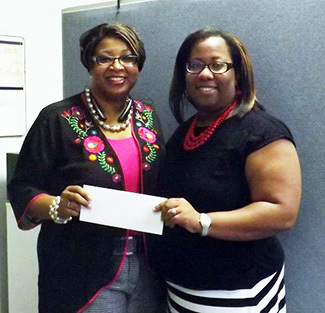 Monica Kearney, (left) executive director of Safe Space, receives a check from Stephanie Brooks, a representative of the local State Employees Credit Union. The Louisburg State Employees Credit Union employees adopted Safe Space as a local organization to support. They placed collection boxes at their branch to collect paper goods, cleaning products and various personal items for the local domestic violence shelter and donated $404. Safe Space is a non-profit organization that serves Franklin County and surrounding areas with services for domestic violence and sexual assault victims and their families. The Coats for Christmas drive is currently underway. 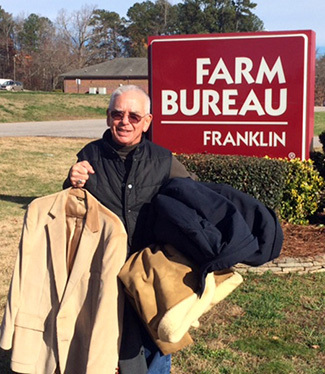 United Way volunteer Wayne Stallings drops off some coats at Farm Bureau Insurance in Louisburg. Wayne Champion, agent with Farm Bureau, and Stallings are with United Way of Franklin County and are looking for new or good used coats. You can drop coats off at Farm Bureau Insurance, Youngsville Library or the 401 Cleaners in Louisburg. The cleaners will clean the coats as needed and coats will be dropped off to various organizations such as Care and Share, Kiwanis of Youngsville, Safe Space and needy families. Adult and children's coats are needed. The highlight of Franklin County Arts Council's Art Stroll last Thursday night was the announcing of their 2015 Artist of the Year Award which was presented to Everett Mayo. Mayo has been an exhibiting artist for 50 years. He is a professor of art at NC Wesleyan College and gallery director at the Four Sisters Gallery, Mims and Civic Galleries, founder and curator of the Four Sisters Gallery of Self-Taught Visionary Art of the Coastal Plain. The Franklin County Health Department, 107 Industrial Drive, Louisburg, will have Open House and State of Our Community's Health Listening Session on Dec. 17, from 4 to 6 p.m. This is a chance to gain insight about Franklin County health data, share your opinions, and express health needs in your community, according to organizers. The Listening Session will take place at 5 p.m. Refreshments will be served. YOUNGSVILLE -- Franklin County sheriff's deputies arrested a Franklinton woman on drug charges. Jessica B. Bradley, 26, was arrested the morning of Dec. 5 and charged with felony possession of cocaine, two misdemeanor counts of possession of drug paraphernalia, possession of a controlled substance, driving while impaired and running a stop sign. She was arrested in the 7300 block of N.C. 96 in the Wake Forest area of the county. 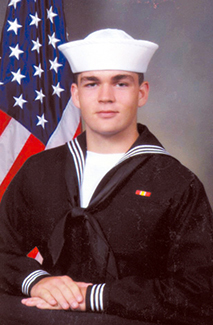 Joel N. Williams from Youngsville was recently promoted to 2nd Class Petty Officer E-5 in the U.S. Navy. He is stationed aboard the U.S.S. Carney. Joel is the son of Harold (Jr.) and Susan Williams. LOUISBURG -- The State Department of Commerce has certified the Triangle North Franklin Industrial Park -- putting it among the best in the state for marketing purposes. The distinction, approved by John Skvarla III, secretary of North Carolina Department of Commerce, gives the site an advantage when marketed locally, regionally and by the Economic Development Partnership of North Carolina (EDPNC).